"Train your Mind, Body and Technique in a Private Session"
We work together with individuals, groups and enterprises. We offer several packages implementing various programmes to fit your needs for an ultimate workout, and to help achieving outstanding results. Private trainings can help you learn much quicker as well as save you years of training by taking you rapidly to the next level. For One-to-one or a small group of people/organisations and enterprises, we teach with flexible time and places. The private martial arts courses are individually or intensively trained by the professional instructors. Students will be given fully introduction of training syllabus before the courses. Instructors design a training plan to tailor a set of teaching content for different levels of students. The goals for students may be slightly different. We want to ensure that students achieve significant training results in each training session. The martial art is a full-body aerobic exercise. It is a kind of sports that people can defend themselves against attackers, control the weight and increase self-confidence. As a result, it has become a very popular sport. Private course instructors have professional qualifications for certificates. 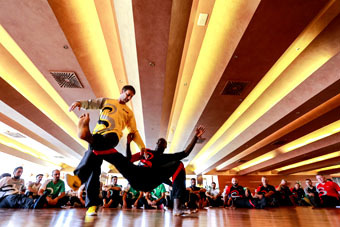 Our professional tailor-made training programmes simplify martial arts technique to gradually increase the amount of exercise through the unique movements of martial arts in order to achieve the physical fitness. The trainees can also organise their own scheduled training to make the classroom more flexible. People work with a lot of pressure, stress and less exercise, which often leads to urban diseases such as mental stress, muscle collapse and joint strain. Therefore, exercise is indispensable for anyone. How do you choose right exercise? Unlike general sports, our meditation internal energy is not affected by age and physical strength. Because it is mainly soft, with slow, flowing movements, deep breathing, and concentration of consciousness, practicing with perseverance, it will improve blood circulation, promote metabolism, enhance heart and lung function, strengthened muscles, joints and bones. The pressure is removed, so that all parts of the body can be relaxed, and the balance of body and mind can be achieved, and you can stay in naturally healthy lifestyle. Course Objectives: Encourage family to learn together to enhance parent-child relationships and communication. Family members are welcome to attend classes. 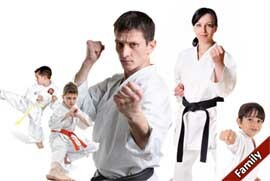 The parent-child martial arts class is a martial arts course for parents and children under the age of 13, with the aim of giving parents peace of mind and strengthening Children’s extracurricular activities. There are fewer and fewer opportunities for people to communicate and get along with each other. If parents work long hours, the relationship with their children will be more alienated. This course allows parents and children to reach good interaction and healthy well-being as well as children energy can be released by the body movement and the relationship between parents and children can get closer. We are fully booked for next summer, you are welcome to put your child’s name in our waiting list. Book a private lesson directly with a qualified & experienced instructor! Check out our testimonials from adults and children’s parents, why they love WingTjun Martial art and how it helps their life. We’d love to have you as a happy student/parent too. “I can’t recommend Sifu Chris Kung Fu enough! I have incredibly increased strength, technique and confidence. I am so grateful for the knowledge I have gained and the people I have encountered on my martial art journey, it is very friendly environment, I am always laughing and smiling along the way” .